Come and join me on the Business Boxed journey. 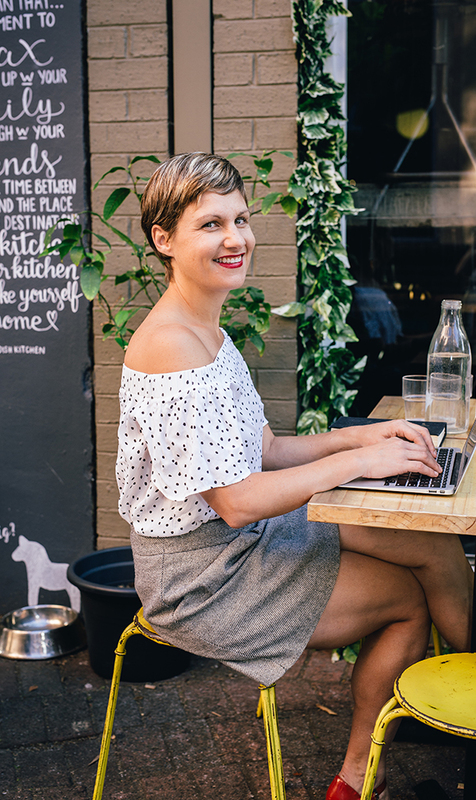 I’m Hayley, and my mission is to inspire you to create an online business you love! I want to help you tap into those talents you’ve been hiding from the world and create a meaningful business that aligns with your values and lets you enjoy your work, every day! Did I say work? Who am I kidding? It’s a passion – something that lights you up from the inside. Because I’ve been where you are right now! Needing to start again. Needing inspiration. Needing an answer. I thought I was happy in my job, I thought I was doing well. Until I was literally hired one day and fired the next (well, not literally, but it’s what it felt like). Not exactly the best news when you’re 8 months pregnant! But I picked myself up off the meeting room floor, took myself home, cried, maybe cried some more, and then decided it was time to get creative. From the depths of despair my online baby store, Petit Bamboo, was born. Was this the best moment of my life working life? Yes! Because it took me out of my comfort zone and forced me to start something that was better for me, my family and my finances. I built Petit Bamboo into a wildly successful online business, which I sold last year for a nice profit. And there’s no reason you can’t do the same. Along the way I learnt so much about setting-up an online business, website design and online marketing, that I went on to become founder of successful digital boutique business ‘We Do Digital’. I also realised that I had a lot of knowledge to share, so I also co-founded the ‘The Digital School’. I went from learning about digital marketing to teaching others how to do it for themselves. This is what inspired me to take a more active role in helping others set-up their own successful online businesses. And from this place of inspiration, Business Boxed was launched. I want to help you find the confidence to start your own business. I want to support you to leave your 9 to 5 corporate job by turning your side hustle into the real deal. Perhaps you’ve had enough of juggling the demands of work, day-care drop-offs, the kids, the husband, cooking and cleaning – it’s just all too much! You need to find a better way. Or maybe you’ve been at home with the kids way too long and it’s time to start something for yourself. You need a business that allows you to express your creativity, chip-in financially, and still be there for your family. I’m on a mission to help you believe that you can be successful; that you can start on a budget and achieve great success. It’s much easier than you think. And, you don’t have to go it alone! Would you like to join a group of like-minded business women, supporting each other to create success while still being there for their families? Then come and join the Business Boxed family! Everyone is in the same boat. They want to start a new business without all the time- consuming hassle of doing it themselves. They just want to press start and go! BUSINESS BOXED IS A COMPLETE BUSINESS, HANDED TO YOU, IN A BOX! I create done-for- you online businesses to launch with straight away, both bespoke and pre-made packages. You receive everything from branding, a full e-commerce website, website copywriting, supplier contact details and social media setup. 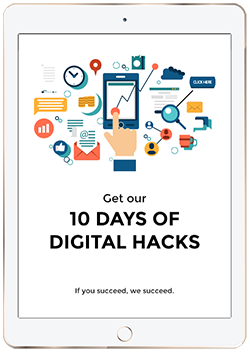 You also get three months FREE entry into The Digital School to learn about online marketing, Facebook Ads setup, SEO and Google AdWords. And you’ll be paired with an accountability partner so you stay on track. And throughout all this, you’ll get to network with other like-minded women through the Business Boxed family Facebook page. Yes, it’s true. All of this is included and it’s all for you! You just need to sign-up to your Business Boxed package, and you can get started. I know how scary or risky it can feel to go out on your own. But if there’s one thing I’ve learnt, it’s all in your approach and set-up. That’s where I can help. I know first-hand that it’s possible to have a booming online business. To make it on your own. To not have to juggle part-time hours with the kids and feel as though it’s worth it. I have the skills and expertise you need to help you create your very own business. And I can teach you how to market it effectively through The Digital School. I’ll be there to hold your hand the whole way. And you’ll become part of a community of like-minded women, all supporting each other on the same journey. So, if this sounds like just what you’re after – and let’s face it, you’d be crazy not to take me up on this amazing offer – then let’s get together and create your success! Click here to find out more about the Business Boxed Packages or let’s book in a time to chat about turning your business dreams into reality.